» Yousician vs Guitar Tricks [2019 UPDATE]: Which One is Better? Yousician vs Guitar Tricks [2019 UPDATE]: Which One is Better? 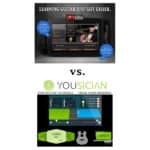 The main difference between these two learning guitar platforms is that one is an application, which is Yousician. Guitar Tricks is a website that requires membership for users to be able to use. This is the biggest difference between the two apps, besides the quality difference. Yousician is a fun app to play- the way that this app was built, it’s a lot like playing a video game. 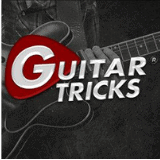 However, Guitar Tricks has hundreds of different video lessons for users to choose from. From a beginner’s perspective, we wanted to compare Jam Play and Guitar Tricks to see if one site happened to be better than other in terms of educational value, cost, and learning quality. We wanted to observe to see if a novice guitarist would be able to properly learn how to play guitar with these sites and for what price. 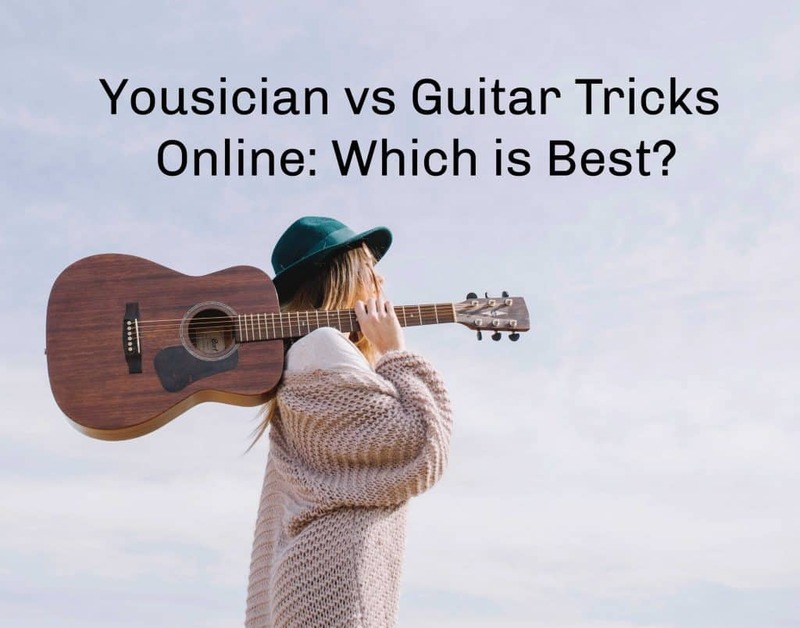 As mentioned before, Yousician and Guitar Tricks are the two sites that we are comparing. Yousician is an application (app) that you can download from the Apple Store or Google play and provides users with a digital learning platform for around $10 a month or $179 annual membership. Guitar Tricks is $15 a month and provides online users with guitar lessons and tools to learn on. This is much cheaper than going with a personal guitar teacher since prices for personal guitar teachers start at about $55 an hour. Bottom Line Up Front: I much prefer the Guitar Tricks program offered here for beginners who are serious about quickly upping their guitar skills. They have many different course paths whereas Yousician is much geared towards a casual low-commitment learning. Yousician Yousician listens to you play and provides feedback. There are Yousician lessons for Guitar, Piano, Bass, and Ukulele. Different levels and songs. 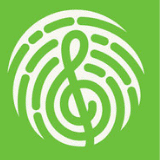 Downloadable App There isn’t a full-on human connection $9,99 per month for a single instrument. $200 per YEAR, for the full set. This is a fun app to use if you enjoy playing video games. Personally, I think that one of the coolest parts that this app has to offer is where Yousician actually listens to you play and provides feedback based on your performance. If you’re interested in using this app, there is a free trial version that allows you to give the application a test drive before you decide on whether or not you want to upgrade to the Yousician premium page. There are many different game modes and skill levels for musicians to play from, which really opens up the app to players of difference advancement levels. There are constant updates to this application, with new songs, features, and diagrams being added often. 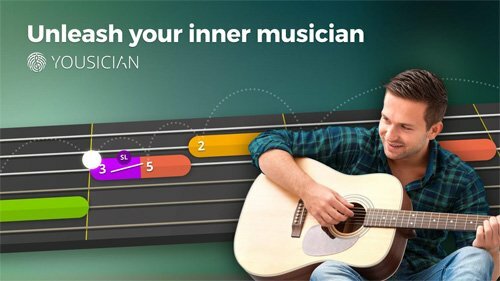 If you’re looking to learn multiple instruments, Yousician provides lessons for Guitar, Piano, Bass, and Ukulele. If you’re looking to go premium with this application, you bundle all four instruments for $179 a year. The free version that Yousician has to test out their application is nice, but there is a large limit on what songs you are allowed to play. I also found it very interesting that Yousician also allows users to learn piano in the same application! I find that the Yousician app is a very entertaining app to learn how to play guitar on, especially if you find that you’re a person who gets bored easily. The app itself is really great for beginners; I would highly recommend this if you are shopping around for a younger child who is looking to play guitar through a website or an application. There are some benefits for advanced players, but this application does have a lot of limits. There isn’t a full-on human connection like Guitar Tricks has, so if you have any questions, you’re going to have to do research on your own. If you’re looking for a lot of personal human connection, interaction, and demonstration, there are much better options out there for you, with Guitar Tricks being one of them. Personally, I believe that Guitar Tricks is the better choice when compared to Yousician. Guitar Tricks is the closest thing you can get to having a real-life guitar teacher guide you through lessons. All of the lessons that Guitar Tricks offers to their viewers of a variety of guitar genres, difficulty levels, and songs to choose from. 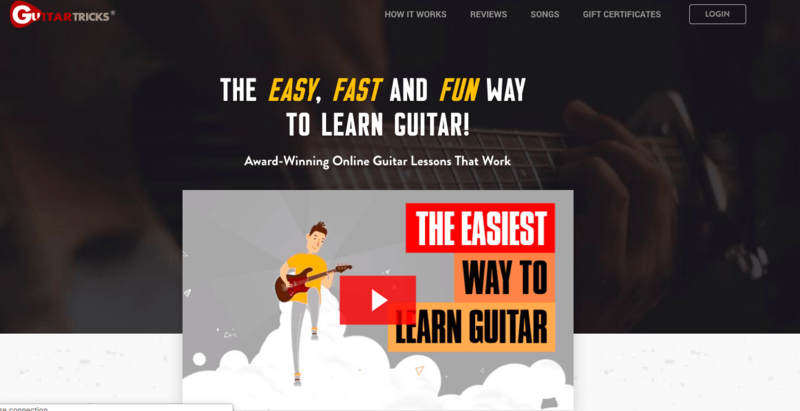 If you happen to be a beginner that’s starting out by using Guitar Tricks, this learning platform is going to offer you their core learning system, which is a great tool that is going to get you from a beginner’s level all the way up to an intermediate’s level. On the other hand, if you happen to be an advanced guitarist, Guitar Tricks also has options for you! There is a search function that allows users to look for different lessons in all of types of styles that famous guitarists played in. This part of Guitar Tricks is called “By Inspiration” which allows you to search and discover different songs that were performed by megastar artists such as Chet Atkins and Jimi Hendrix. Each song that is offered on Guitar Tricks has a walk through a lesson, so you can really take your time to get to know how to properly play each song. Not everyone who wants to learn how to play guitar can afford a private teacher, but Guitar Tricks offers the best alternative. I thought that the core learning system for beginning musicians was really great; Guitar Tricks produced short lessons that didn’t get too complex or boring. All of the guitar lessons and guitar tools that are on the Guitar Tricks website are 100% downloadable, so if you ever don’t have an internet connection and want to keep learning how to play a certain song or style, just download all of the lessons you’re using! The program is affordable, especially since you can download off of the website; you’re only paying $15 a month! The only thing that I didn’t really like about Guitar Tricks is that there are some very old video lessons on there that are comprised of very low production quality, but there are only a handful of these videos- I would say about two or three videos have this problem. The Final Comparison: Guitar Tricks or Yousician? If you’re serious about learning how to play, the online videos that Guitar Tricks have are much more helpful and educational than anything that Youisican offers. If you are a brand new beginner that doesn’t really know where to start, Guitar Tricks is perfect for you to begin your journey with. 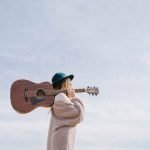 Guitar Tricks also offers lessons for both intermediate and advanced guitarists who are looking to improve both basic guitar skills and more advanced techniques. Also, Guitar Tricks offers lessons for Soul and R&B, which Yousician does not offer. If you’re looking for an online lesson option that provides you with a personal tutor without the price tag, looking to learn from real musicians who have years of experience, and want to accompany your voice with your guitar like a professional, Guitar Tricks has all that to offer to you and more. However, with the free trials that both applications have to offer, you really have nothing to lose by trying out either site. Bottom Line: I much prefer Guitar Tricks (see here to sign up), because they offer a more robust learning experience overall. Jam Play vs. Guitar Tricks- Which Platform Is Better To Learn On? 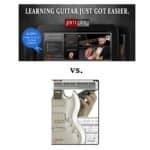 Guitar Tricks vs Justin Guitar Online Lesson Comparison: Which is Best [2019 UPDATE]?